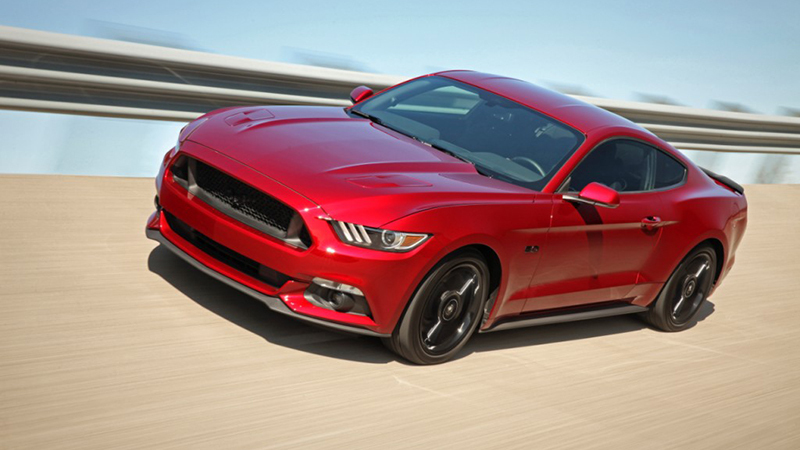 Heavily updated for 2015, which included the mainstream models’ first-ever independent rear suspension, the next generation 2016 Ford Mustang GT Coupe breathes new life into the “pony car” genre with a newfound agility. As American as it may be, the inspiration for the next generation Mustang is actually European. The end result is a top-notch muscle car with the killer looks, attitude and performance to compete with others not just in a straight line but also on the winding road. The 2016 Ford Mustang GT Coupe is an altogether more sophisticated thing than its predecessors, which is key for its new global mission.The car’s proportions are softer and more flowing than before, and the styling adopts much of Ford’s corporate look while still recalling Mustangs past. Cool touches include secondary—and nearly invisible—turn signals integrated into the GT’s hood vents. Under the hood is 5-Liter Cayote V8 that puts out 435hp and 400lb-ft of torque. The 2016 GT Coupe is more comfortable and composed with the multilink rear suspension, which itself dictated a new tuning approach for the front strut setup. And the interior is more insulated and better turned-out, even if the fast rear glass means back-seat occupants will need to remove their heads before entering. Additional electronic aids, including adaptive cruise control and blind-spot warning, are now available, as is a 2.3-liter EcoBoost turbocharged four-cylinder.Updates for 2016 are limited to the addition of Ford’s much-improved Sync 3 infotainment tech on Premium models. The Coyote V8 in the 2016 Ford Mustang GT Coupe loves to rev and is an absolute hoot when paired with the standard six-speed manual gearbox, which is light in effort and snicks tightly through the gates. The new GT goes from 0-60 in 4.3 seconds and does this with confidence thanks to a lot of technology minimizing wheelspin and torque steer. While the independent rear suspension is a huge improvement, the new GT still exhibits understeer in corners but can now be easily managed thanks to the better chassis and responsive engine.The Mustang’s steering isn’t superquick at 2.6 turns lock-to-lock, yet it is precise and natural enough in feel to make you think it’s hydraulically assisted. With the new additions to the 2016 Mustang GT, it makes for a fun daily, provided you don’t plan to seat someone in the rear seats on longer drives and don’t mind the extra trips to the gas station.